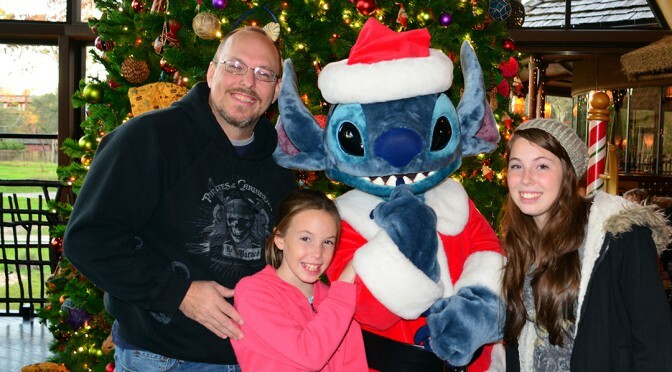 A great way to meet characters in unique costumes during the holidays is to meet them at various Disney World resorts. Many resorts reserve their parking areas for guests with valid resort or dining reservations, but there’s no note anywhere that says that these meets are limited to resort guests. There’s no guarantee what character will appear on a given day and characters may rotate on a single night, so ask the Character Attendant who is available for your visit while you are there. Previous PostPinocchio to return to the Magic Kingdom?Next PostPoll: How many days do you spend in the Magic Kingdom Park? Which guide stayed a date? I only see character meets listed for Coronado springs and AKL on the resort guides. Does anyone know if they had any characters on Christmas Day at the resorts last year? Okw used to have Mickey on Christmas, not sure this year. Thanks which ones usually come out on Christmas Eve. Are these the dates and times for 2017? I don’t see dates listed on any of the resort recreation guides except one. Thanks! How early in December do characters visit resorts? They are not there all year are they? Is this the updated list? Is anyone out now? So true. I’m sure it has crossed Disney’s mind on how to charge a fee for this at some point. How have the lines been at the Contemporary this year? Did anyone see Chip and Dale at any of the resorts? If so, what costumes did they have? None at grand Floridian this year? Aren’t they normally there? We were thinking about resort hopping christmas day… are there often characters out for the day of? Hi Kenny, I’m planning to visit Disney World on December 27 and 28 this year. Do you know if we can meet characters at the resorts after xmas? KTP, will you providing an updated schedule for 2013? My girlfriend will be very happy if she gets to meet Toy Solider Chip N’ Dale (and I will likely be deemed a hero). Great pictures of what looked like a great time! thanks for posting! love seeing the photos and knowing there is another way to meet lots of characters! Those costumes were better than MANY of those for MVMCP! I can’t believe they don’t use better outfits for that event! And you’re paying $$ to go to the parties. You may have found a great alternative to busy, busy parks.